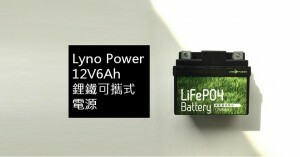 Lyno Power 12V6Ah LiFePO4 Battery Japanese Patent Released. 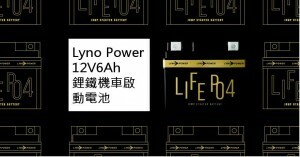 Lanyang Energy Tech is pleased to announce that our exclusive internal design of this novel LiFePO4 has obtained the Japanese patent. Benefit from a significant cost reduction without compromising its quality and efficiency, this brand new design has triggered the replacement of Lead Acid battery to LiFePO4 in the market. This is also a proven fact that Lyno Power has not only dedicated in advancing our technology and quality, but also constantly guarding the cost for our clients. 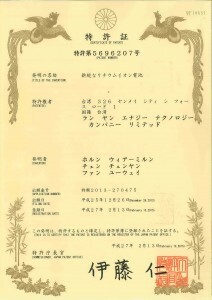 The patent of this brand new product is under application process in 11 countries and regions and the Japanese was the first to be released. We are seeing much potential to have expanded our customer demographic to motorcycle and car industry in Japan as well as the energy storage aspect. For details of this brand new product please get in touch- sales@lynopower.com or simply call +886 3270 6565.